If you're a trader interested in building a smart stock investing strategy for the long term, you may be wondering where and how to find good stocks for your portfolio. Good stocks to invest in are stocks that are guaranteed to increase in value. Unfortunately, you’d need a crystal ball to know exactly what they are. However, sector investing, which involves buying a basket of stocks (or an ETF or mutual fund covering those stocks) in a business category likely to do well in the near term, might be something to consider. Different sectors rise to the top at various points in the business cycle, so you can improve your odds by choosing stocks which historically have done well in the current phase of the cycle. In early cycles, economic recovery triggers more rapid growth with interest rate sensitive products such as real estate and financials performing well. Mid cycles are characterized by more moderate growth rates with industrials and information technology stocks having better performance historically in this environment. In late cycles, rising inflation constrains growth and inventories build as the economy prepares to slip into recession. Energy, healthcare and materials have traditionally done best in late cycles. Many stock market investors don’t realize that “The Dow” is actually a sector play—the Dow Jones Industrial Average. There’s also a Dow average for transportation, and for utilities. But industrials get the most attention because they tend to reflect the overall health of the U.S. economy. 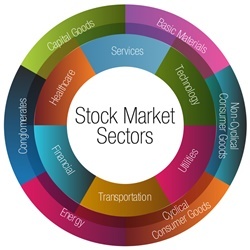 Examples of other sectors for stock trading include information technology, healthcare, financial services and energy. Most of these have their own indices that can be tracked for stock trading, though they’re not as well-known as the Dow. How Do Smart Investors Find the Best Stocks? Smart investors have a plan for stock market investing. They don’t just buy the latest hot stock in the news or act on a tip from the media or their brother-in-law or broker. Rather, they have a set of criteria for smart stock investments and they evaluate each potential investment accordingly. For example, a smart investor might focus on specific categories (sectors) and then narrow down a list of stocks in these categories that fit other criteria such as ticker price and daily volume. (Stocks in a sector tend to move in the same direction in price, even if some of the underlying companies are more successful than others.) Then they look at historical performance and see if the stock is approaching a supply or demand zone that meets our definition of a low-risk, high-potential investment. Once they identify a possible stock market investment, smart investors will continue to work their plan. They won’t get caught up in emotion and go against a well-thought-out strategy. And if a trade goes against them (something that happens on a regular basis to even the most successful investors), they’ll ruthlessly purge it from their portfolio before a small loss turns into a bigger one. At Online Trading Academy, when we provide stock trading training, our instructors often say that “a chart is a chart, is a chart”. Day traders and stock investors use candlestick charts that show the movement of price over time, and the trader’s most important tool is the ability to anticipate future price movements based on historical supply and demand zones. That holds true for individual stocks, for EFTs, for E-minis tracking indices, and also for assets such as currency pairs. 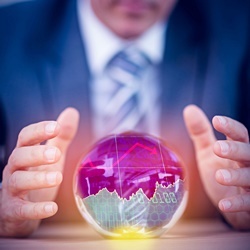 It doesn’t matter whether the stock or its sector is going up or down, so long as you can predict with a high degree of accuracy in which direction it will move and how far. If you invest in the right sector in the right market, you might see 5:1 or 10:1 profit potential (meaning $5 or $10 in potential profit for each dollar of downside risk) instead of our minimum recommendation of 3:1 at Online Trading Academy. Sector investors also have the opportunity to fine-tune their stock trading plans because stocks within a sector tend to move in the same general direction. If Alphabet (formerly Google, ticker GOOG) has a good earnings report, that is likely to lift the shares of other technology companies. If GOOG does not fit your trading plan because of its high price (recently over $1000 per share), you could choose another, cheaper technology stock and still benefit from GOOG’s influence on the sector overall. Is sector investing right for you? As a stock trader, stock investor or day trader you should be familiar with the concept, and it may well have a place in your trading toolbox. At the end of the day, the good stock to invest in is the one that performs as you expect it to, and gives you the opportunity to build short-term income or long-term wealth. Our Core Strategy course will answer the question, "How do you invest in stocks" and is the foundation of the Online Trading Academy curriculum, it’s all about smart stock trading. For more experienced investors and traders, consider our Stock Trading XLT. See you in class!